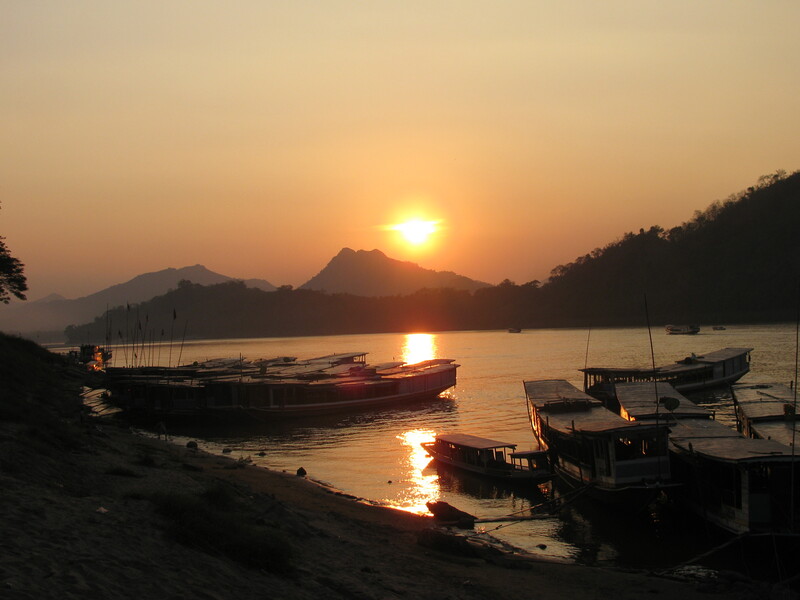 We were very familiar with the Mekong River by the time we arrived in Luang Prabang. We had spent two days floating along from the border town. With the alternative being a 15 hour bus ride that was rumored to go between being uncomfortable and terrifying, we knew the slow boat was for us. There’s something wonderful about taking two days to get someplace. 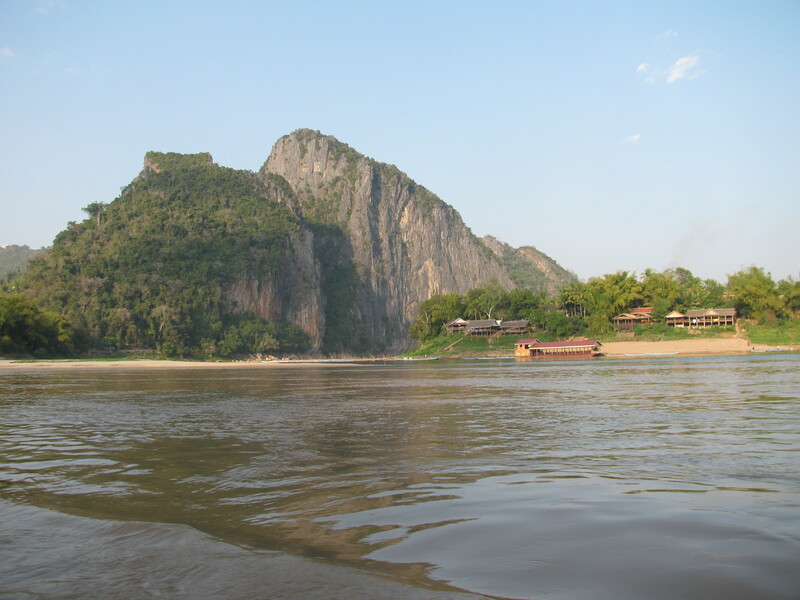 Especially when the views outside are amazing and the little bar inside has plenty of Beer Lao. 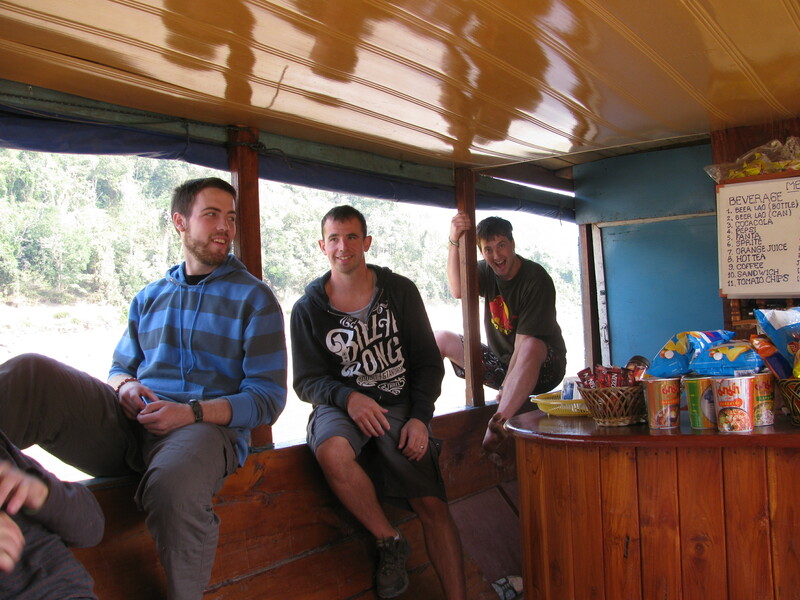 We were traveling with friends from the trek the day before, and everything seemed perfect. I spent my birthday on that boat, and it definitely beat dragging people out of hibernation to go out in snowy Boston. 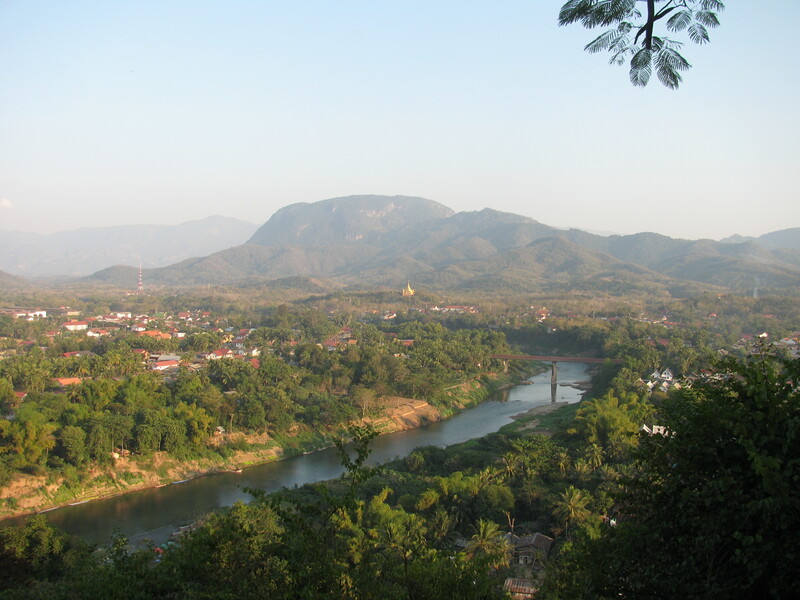 Luang Prabang is a beautiful town in every way. 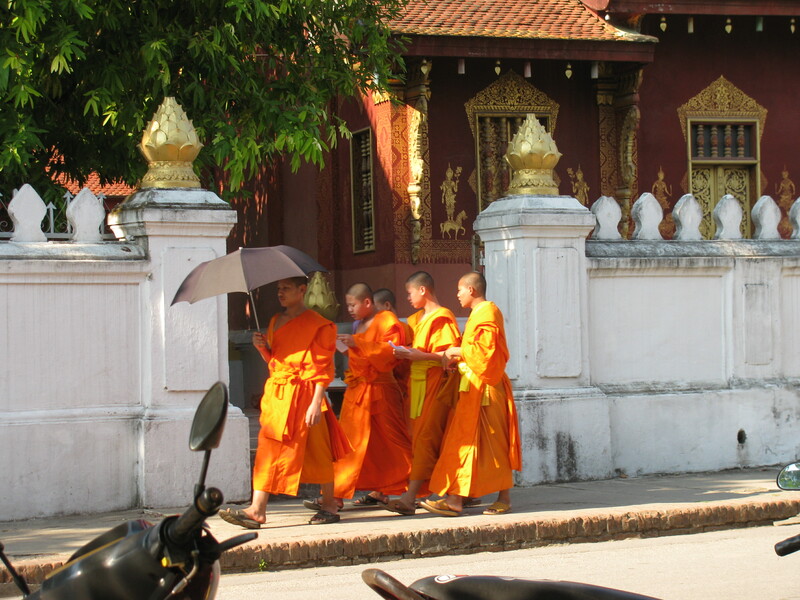 Most of the town is a world heritage sight, it has some evidence of French colonization in the architecture, you’re always walking along the water, and you can’t help smiling at the young monks that seem to be forever passing you carrying umbrellas. You could see the town in two or three days but we spent six nights. We didn’t want to be tourists anymore – we just wanted to exist. When you stop rushing through places and stop and sit and watch it’s amazing how much more you understand the place you are. 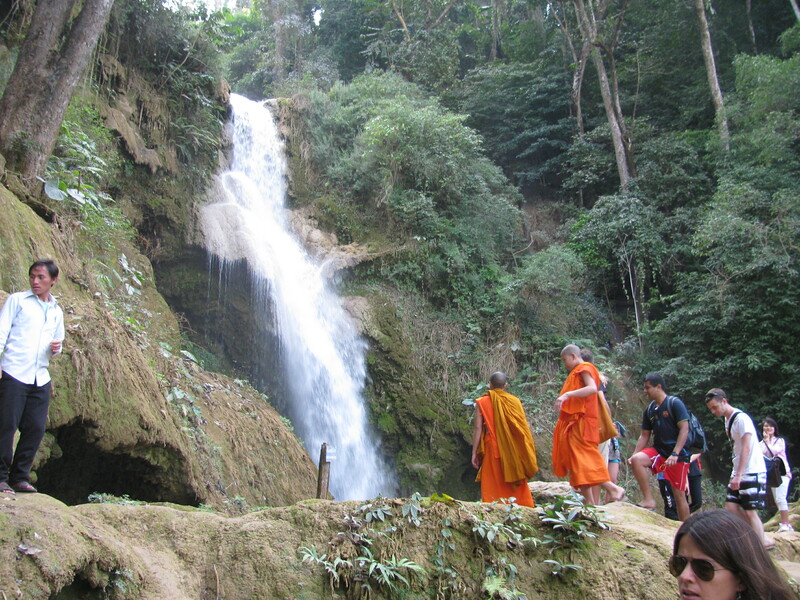 We went to the waterfall, the cave, and the Wats that were around Luang Prabang. 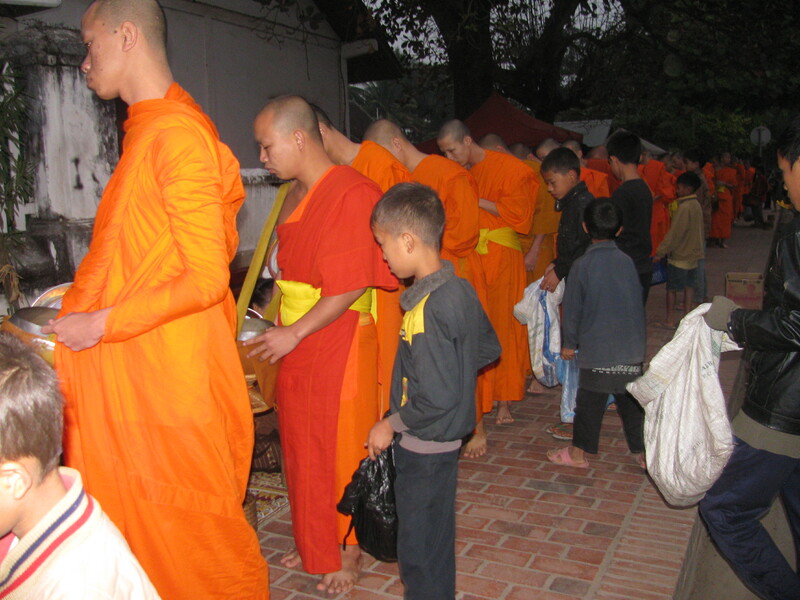 We woke up early to watch the alms ceremony, and we walked to the temple on the top of the hill for sunset. 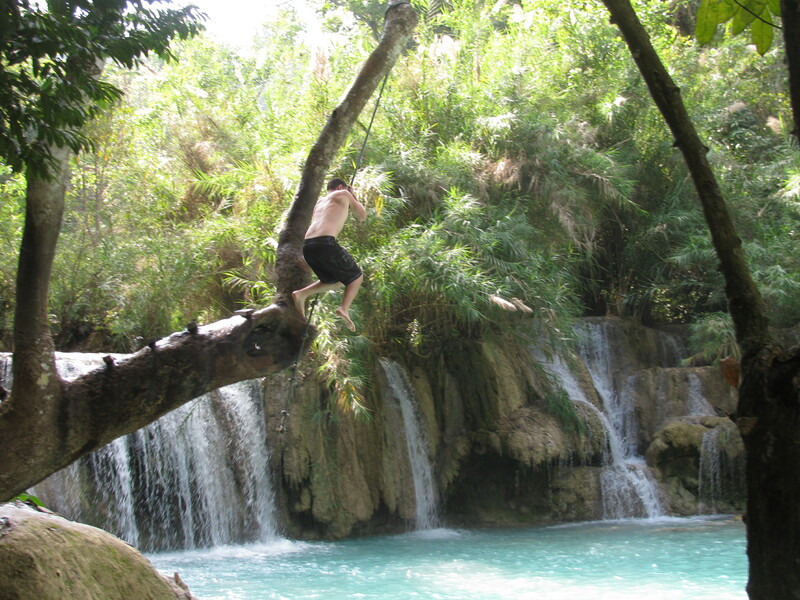 Yes, I would have liked the cling to Luang Prabang forever and never leave- but I don’t think the Buddha would have approved. That picture with Tim on the boat, too funny I have seen that smirk and will refrain from saying what it means. 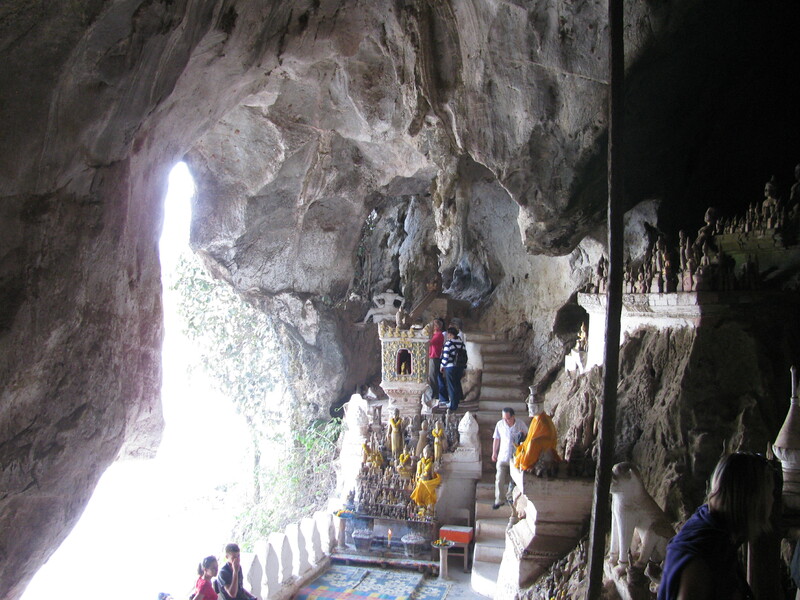 This brought back so many memories … seeing your photos from Luang Prabang, seeing the waterfall, being in the cave. Now you know why Grandpa and I were happiest in Laos, after being in Cambodia and Viet Nam. birthday January 20th here. Where ARE you ??? Robert said you were teaching English for 3 wks and getting pd for it in Cambodia I think ?? Grandma Bet and Kathy here in FL for a week. We just got back from a 2 day cruise to the Bahamas which was fun. Seems like everyone was ready for R and R.
Yes the blog is about 6 weeks behind. We don’t always have good wifi and putting up a post takes time. 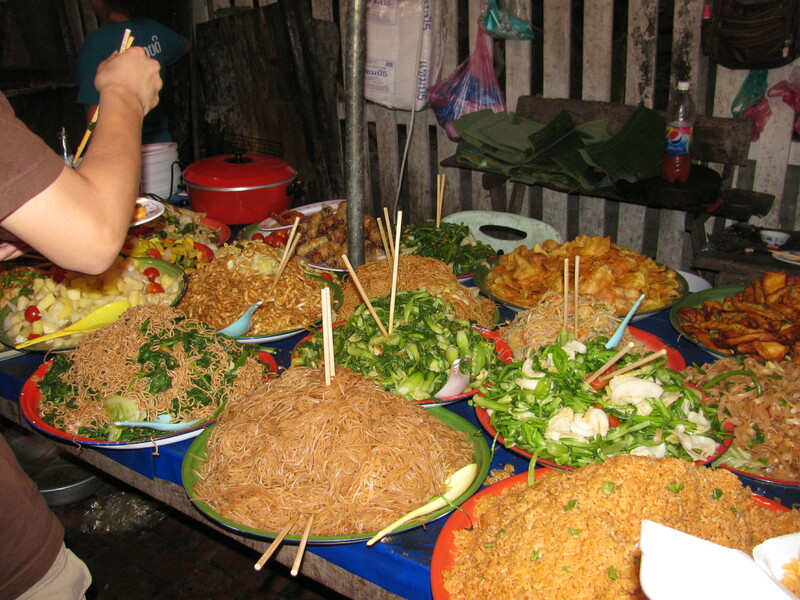 We went to Vietnam and Cambodia after Laos and actually like Vietnam better and Cambodia just as much as Laos. We were volunteering for two weeks in Cambodia at an Orphanage and School. The “Where’s Wally” posts are usually indications of our actual location. We’re in Singapore now.